No. 203: Don't do this, unless you're like them. This is issue no. 203. The last issue had a 🔥 50.16% open rate with ⚡️ 7.67% of clicks going to Recode article on Tristan Walker. This issue is admittedly media-heavy and thank you for staying put while I took the occasional few days off from 2PML. Here's Ben Thompson on what makes niche media work, via stratechery.com. The content available needs to be clearly defined, both in terms of form and subject. Trust about the quality of the content must be established; the easiest way is by having a single author, because then you are subscribing to a person. That said, multi-author subscriber-based publications are possible, but consistency of both quality and sensibility is essential. Only the “best” content will succeed; the most obvious way to have the best content is to have the best content, but the tautology of that statement is an indicator of how difficult that is. That is why it is so important to focus on a niche: the broader your content, the wider your competition, and the more difficult it is to not only be the best but to prove it consistently. TAKEAWAY: It may also work to distance the brand from difficulties created in March of last year after The Wall Street Journal sent a bottle of Honest’s laundry detergent to a lab and discovered it contained an irritating chemical that Honest claimed it didn’t use. Honest countered that the story contained “factual inaccuracies and misleading statements,” but the company did reformulate its detergent several months later. Honest has also weathered widespread complaints in 2015 about its sunscreen, and it voluntarily recalled its baby powder earlier this year. DATA: Mr. Feinberg wants to sell his tech to the digital platforms themselves, not to brands, agencies or third-party monitors. That's because he's not just out to make money, he said, but to stop terrorists and hate groups from making money off digital advertising, he said. He likened the idea of selling his tech piecemeal to brands and agencies to "fixing your toilet or sink at the house when the problem is at the sewer or the reservoir." 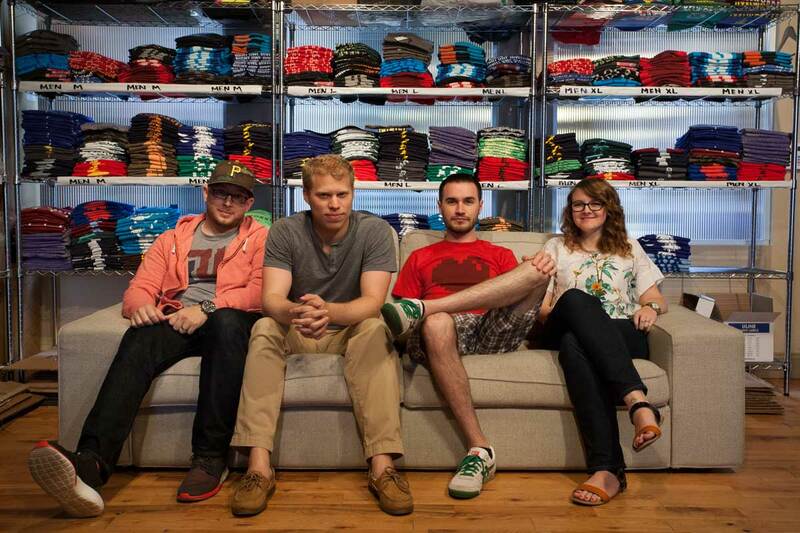 MEDIA/COMMERCE: Barstool is also incentivized to experiment with direct payments by the fact that its audience does not care about the mainstream notion of “premium.” The PPV, for instance, was produced by four people on site, including Portnoy and the staffer competing in the event, with some additional support back at the company’s New York offices. MEDIA: In the long run, the bullish analysts working for Snapchat's IPO underwriters may prove to be correct. Snapchat's future is particularly tricky to predict because it is so young. But as usual, when Wall Street research divisions have rose-colored glasses, it's fair to wonder whether they're seeing dollar signs in their eyes. ECOMMERCE: However, the retailer has a long way to go until it catches up with rival Amazon — especially as the e-commerce giant expands its apparel offerings. Amazon is expected to surpass Macy's as the biggest seller of apparel in America this year. Before Walmart's recent acquisitions of trendy e-commerce brands, Amazon had similarly ventured into more high-end fashion, selling products by designers such as Zac Posen and Stuart Weitzman. Walmart's market value is now $298 billion, compared with Amazon's $356 billion. ECOMMERCE: Many assumed Ma’s bonding with Trump presaged an Alibaba move into selling to U.S. consumers. For now, Alibaba professes to be more interested in helping U.S. businesses sell to Chinese consumers rather than the other way around. “People are always asking ‘What’s your U.S. strategy? What’s your U.S. strategy?’ ” says Evans, Alibaba’s president. ECOMMERCE: Amazon promise is lowest prices, better selection, and since the launch of Prime, incredible convenience. This model worked really well, customers got what they wanted, and over time Amazon has continued to grow. They sold $79 billion worth of merchandise last year in North America alone. That is roughly 20 percent of all US online sales. BRAND: In the coming years it will be interesting to see how many brands echo the political and societal shift which speaks to the counter-narrative, one which does not meet our ideologically liberal view of brand activism as we sit here today. There are brands that know their heartland is consumers that voted for Trump, for Brexit, that campaign against gay marriage, female clergy and that support the regressive policies in relation to human rights that are currently being discussed. Normally, I'm not an advocate of politics spilling into business, nor I do believe that brand activism is a typically a sincere practice. I've gone on record as a fierce detractor of startups, brands, and agencies who hop on a social justice bandwagon while denying equality through employment within their own walls. Say "culture fit" three times, as fast as you can. Cotton Bureau's founders are a rare case of personal beliefs intersecting capitalistic opportunity. Watching Jay Fanelli fired up about a housing project being gutted for a larger Whole Foods in their homeland of Pittsburgh, really struck me. Often, folks talk the talk until silence can benefit them. And well, who wouldn't want easier access to vegan sausage or the free-est of range eggs? Nathan Peretic, the more introverted of the two partners is equally passionate about matters of social justice. Their most recent hits: "Whine about it" by BuzzFeed, "Only You Can Prevent Alt Facts", "Friend of the Pod" and "Pod Save America", "We're Not Shutting Up" by ProPublica", "Protect. Resist. ", "She Persisted", "Country Over Party", "Repeal and Go...Yourself", and "The Signal." I marvel at their numbers, both sales and conversion rates (7+% in February). Even more so, I applaud how well they've maintained visual consistency across each of their designs. Each subsequent hit of a t-shirt becomes another statement for the Cotton Bureau brand. In the t-shirt design industry, this is rare. And they are not slowing down. If I was consulting a brand (including the ones I remain closely aligned with), I'd suggest avoiding activism. This, especially if it isn't in the brand's DNA. But these guys and gals are different, they're more than tweets and anecdotes. They are outfitting the resistance and selling shirts by the thousand.